– The Jury Instruction for this crime appears after a reprint of the statute defining the crime. 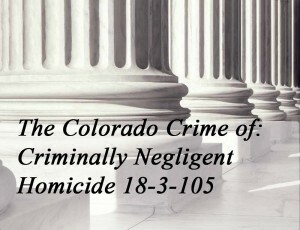 Any person who causes the death of another person by conduct amounting to criminal negligence commits criminally negligent homicide which is a class 5 felony. 4. by conduct amounting to criminal negligence. 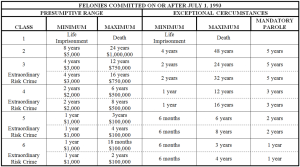 To Enlarge The Colorado Felony Sentencing Chart – Click on the Chart until it opens.